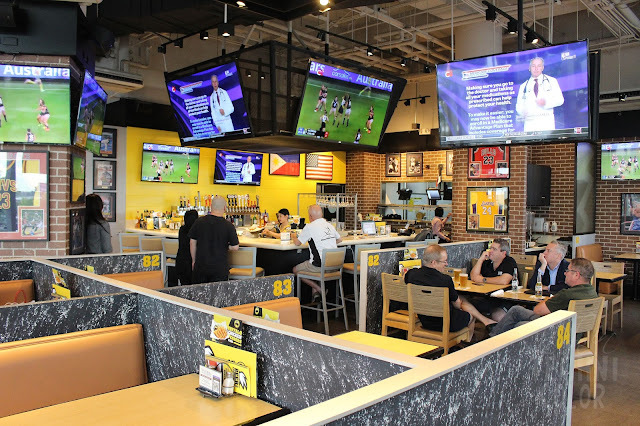 If you're looking for a place to hang out with your friends and watch the latest sports games while doing so, check out Buffalo Wild Wings at S Maison! 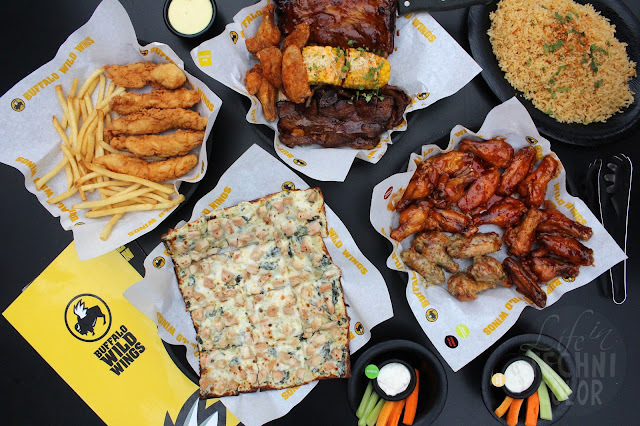 It's an American franchise with five branches in the Philippines. 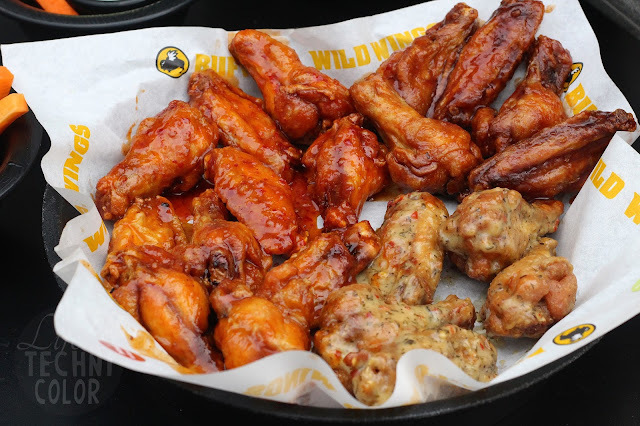 They're really all about the wings (hence the name); they have 18 signature sauces and dry seasonings available, so you can mix and match according to your liking! 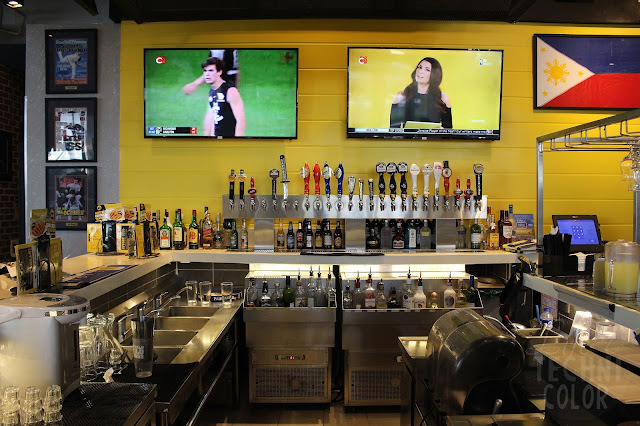 But that's not the only thing people come for, a lot of folks really enjoy watching sports and drinking beer here as well. 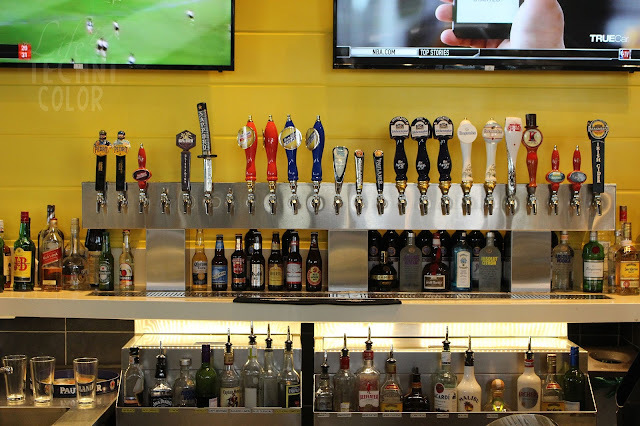 After all, Buffalo Wild Wings has a wide draft and bottle beer selection (a total of 30 to choose from!!) 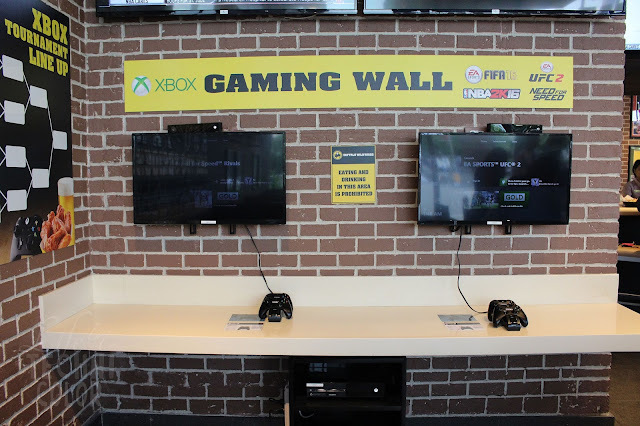 They also have a gaming wall where you can play XBOX - with games like Fifa, NBA 2K16, UFC, and Need For Speed - for FREE. Unfortunately, I'm not the beer-drinking and sports-watching kind of gal; I'm just really here for the food. And boy, was it goooood!! 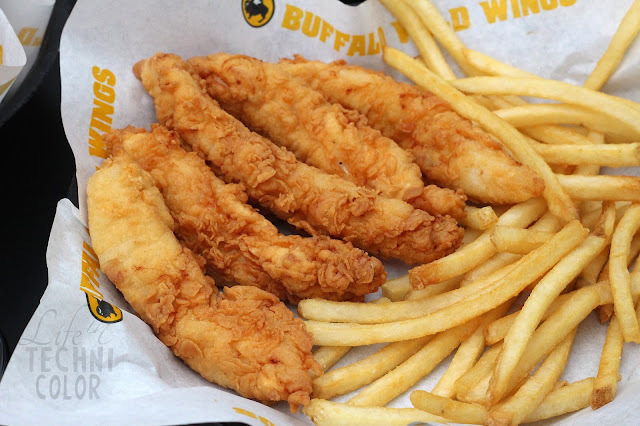 For starters, we had the Naked Tenders - juicy, grilled chicken tenders served with natural cut French fries and your favorite Buffalo Wild Wings sauce or dry seasoning. Get four pieces for Php 295 and six pieces for Php 395. They also have really good flatbreads here. 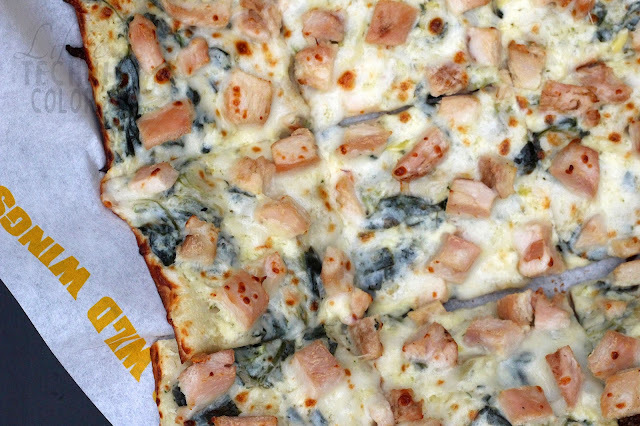 We tried the Spinach Artichoke (photo above) and Buffalo Chicken. They're great for sharing, with prices ranging from Php 475-Php 495. Last but not the least, their hand-spun wings! 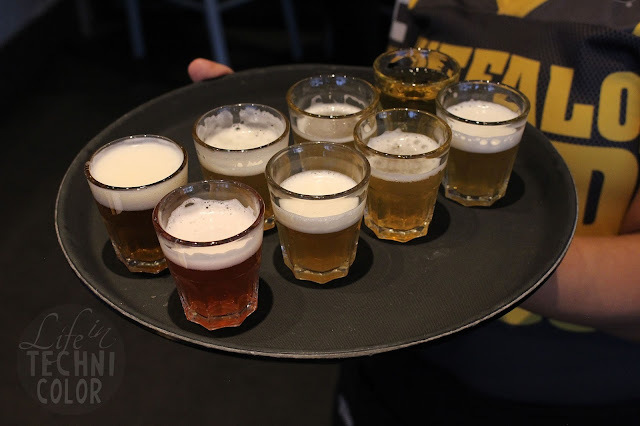 At Buffalo Wild Wings, there are 4 sizes available - snack, small, medium, and large. 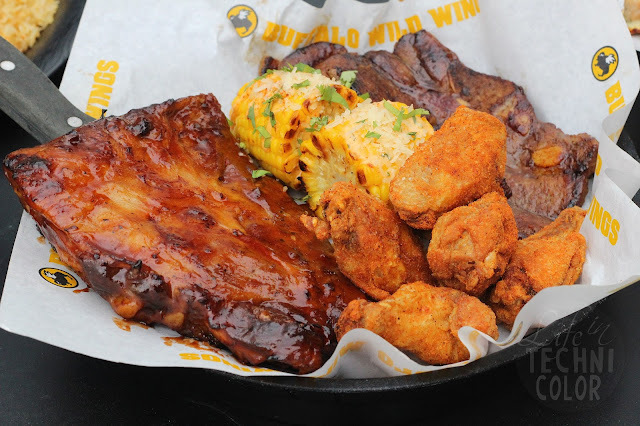 We actually had two large wings (P1,145), which has at least 20 pieces of wings in it each. And yes, we finished every single piece. Haha! Every order of wings is served with your choice of celery, carrots, bleu cheese, or ranch dressing. 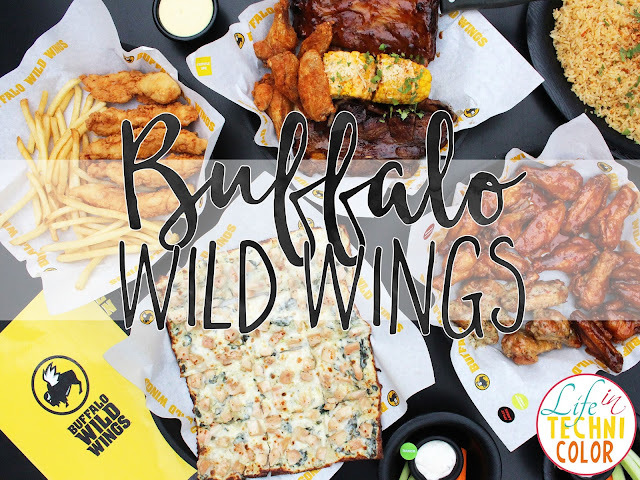 Buffalo Wild Wings is located at Level 1, S Maison, Conrad Manila, Seaside Boulevard Corner Coral Way, Mall of Asia Complex (MOA), Pasay City.